Beta blockers are among the most commonly prescribed drugs in medical practice. They work by blocking the effect of epinephrine (adrenaline) on the tissues, specifically, by blocking the “beta receptors” that bind epinephrine. Among other things, blocking the beta receptors slows the heart rate, reduces the force of contraction of the heart muscle, reduces the amount of oxygen the heart muscle needs to do its work, reduces stress on the vascular system, and tends to lower the blood pressure. When Are Beta Blockers Used? Beta blockers are a first line of therapy for people who have stable angina. In these people, beta blockers slow the heart rate and reduce the force of contraction of the heart muscle. Both of these effects prevent or delay the onset of ischemia of the heart muscle, and thereby reduce the risk of having an attack of angina. For similar reasons, in the vast majority of cases beta blockers are an important part of treating a heart attack. These drugs reduce cardiac ischemia during the acute heart attack, and help prevent future heart attacks. They are also an important part of therapy for heart failure. These drugs greatly reduce the excess stress on the failing heart muscle, and allow the heart to do more work with less energy expenditure. In people with atrial fibrillation, beta blockers are a key component of achieving adequate control of the heart rate. Beta blockers were among the early drugs of the modern era shown to be effective for treating for hypertension, and for many years were first-line drugs for this condition. However, in the past several years studies have shown that many of the newer drugs for hypertension — in particular, thiazide diuretics, calcium channel blockers, ACE inhibitors, and ARB drugs — are more effective in controlling blood pressure and improving the outcomes of people with hypertension. So today, beta blockers are usually reserved as a second-line treatment for hypertension, in people for whom these other drugs are insufficiently effective. There are obviously a lot of different beta blockers available, and the specific instructions on how often and what time of day to take them will vary from drug to drug. However, as a general rule the side effects of beta blockers can usually be minimized by taking them with a meal, which causes these drugs to be absorbed more gradually. Worsening of symptoms in people with asthma. This is perhaps the most limiting side effect of beta blockers, making these drugs difficult or impossible to use in people with asthma. Worsening of symptoms in people with peripheral artery disease. Making hypoglycemia (low blood sugar) more likely in people with diabetes. In pregnant women beta blockers are avoided when possible, since they can affect the baby by causing a slow heart rate, reduced blood pressure, and lower blood sugar levels. 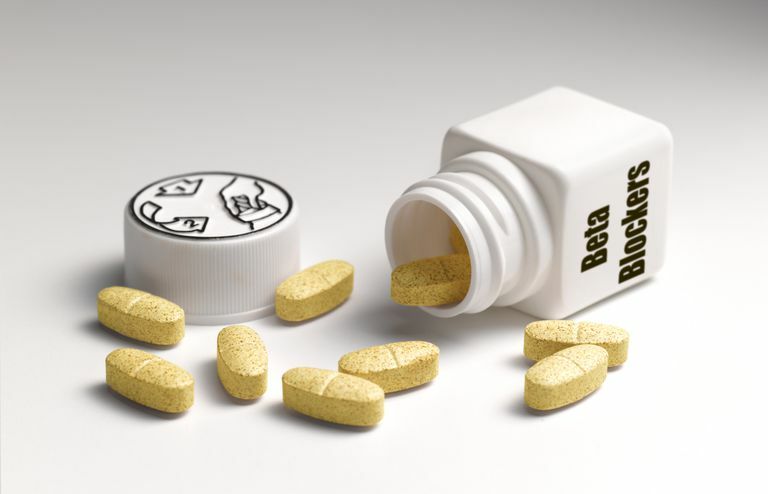 In general the side effects of beta blockers can often be managed by a careful choice of which beta blocker is selected, and by attempting to use smaller doses. The beta blockers have proven to be very useful in treating a variety of medical conditions, and as a consequence are commonly prescribed. While they can cause several side effects that can limit their usefulness, most of the time an appropriate drug and dosage can be found to allow people who would benefit from beta blockers to take them. WRITING COMMITTEE MEMBERS, Yancy CW, Jessup M, et al. 2013 ACCF/AHA guideline for the management of heart failure: a report of the American College of Cardiology Foundation/American Heart Association Task Force on practice guidelines. Circulation 2013; 128:e240. Wiysonge CS, Bradley HA, Volmink J, et al. Beta-Blockers For Hypertension. Cochrane Database Syst Rev 2012; 11:CD002003.